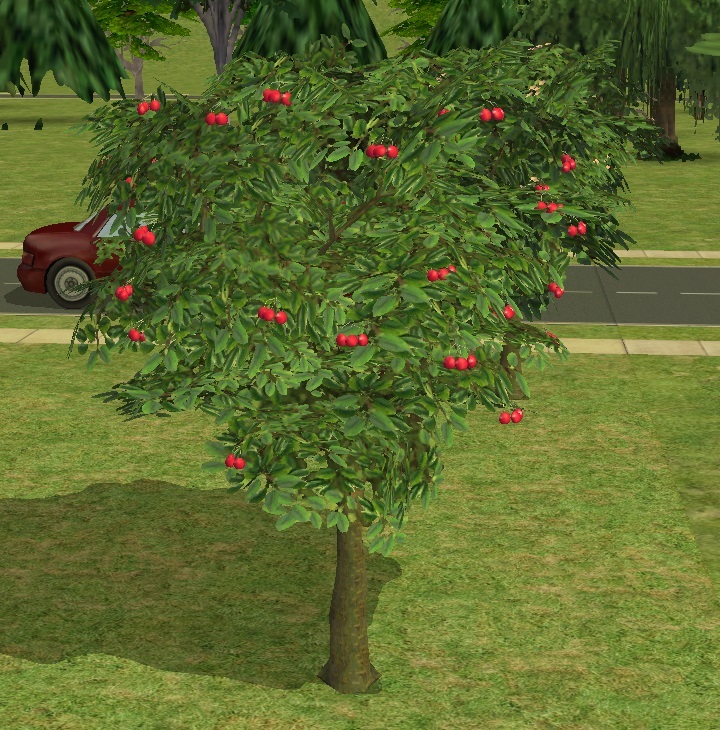 Here is a new Seasons harvestable orchard tree - the cherry tree. Warning - High Poly As cherries are so small, I found it best to make a cluster of them stand in for a single fruit, with inevitable consequences for the poly count. Sorry about this. 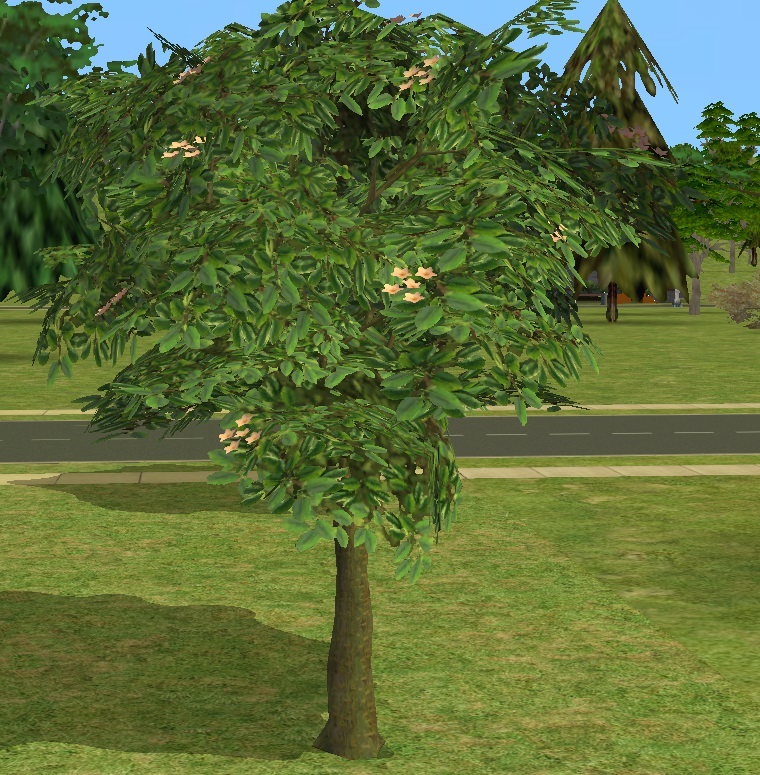 The cherry tree is cloned from my Pear Tree and has all the normal functionality of EAxis orchard trees, plus an eat interaction for the fruit. The fruit can also be sold in a business, or used to stock the fridge. I have tweaked quantities for the harvest, so you should receive 12 - 18 bunches of cherries, plus a seasonal bonus where appropriate. The fruit, flowers and tree trunk have new textures, but there was so little visible difference between pear and cherry leaves that I have left the foliage textures unchanged. Texture attributions for the foliage are available here http://modthesims.info/d/615586/cus...h-and-pear.html Texture attributions for the new cherry textures are under the spoiler. The trees have been compressorised and are available under Garden Center/Gardening for $1,200. Cherry tree 15,869 vertices HIGH POLY! The writers of the tutorials I used to learn how to do this. And Maxis for the game! 122 people have said thanks to Aysarth for this download.